The Swish 35mm wall fix passing bracket in antique brass fits perfectly with the 35mm Swish Design Studio bay curtain pole ranges. These brackets are to be fixed to a wall, with the 'a-frame' design makes them sturdy. 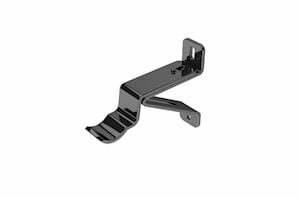 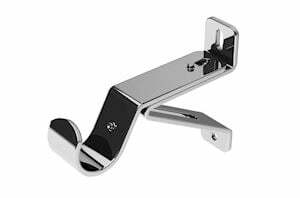 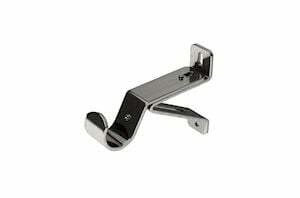 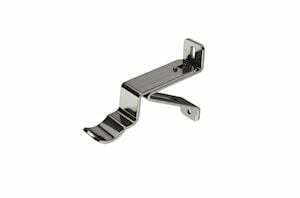 The adjustable feature allows the distance between the bracket and the wall to be set as needed. The Swish 35mm Design Studio passover rings will pass by these brackets with no interruption to their flow.